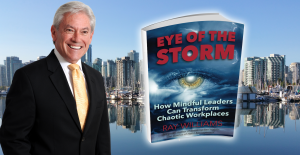 There is clear evidence now that shows the strong connection between effective and successful leaders and their possession of high levels of emotional intelligence. Leadership is a process of social interaction where the leader’s ability to influence the behaviour of their followers can strongly influence performance outcomes. Leadership is intrinsically an emotional process, whereby leaders recognise followers’ emotional states, attempt to evoke emotions in followers, and then seek to manage followers’ emotional states accordingly. A.T. Pescosolido argues that leaders increase group solidarity and morale by creating shared emotional experiences. In addition, research by Ronald Humphrey shows the ability of leaders to influence the emotional climate can strongly influence employee performance. Emotional intelligence is a strong predictor of job performance, according to a new study conducted at Virginia Commonwealth University, that helps settle the ongoing debate in a much-disputed area of research. “The Relation Between Emotional Intelligence and Job Performance: A Meta-Analysis,” which has been published online by the Journal of Organizational Behavior builds upon years of existing studies in the area of emotional intelligence, which is a measure of someone’s ability to understand the emotions of themselves and others. The resulting analysis indicates that high emotional intelligence does have a relationship to strong job performance — in short, emotionally intelligent people make better workers. Despite the considerable research from psychology and neuroscience, leaders who are clearly deficient in emotional intelligence continue to be recruited, chosen and promoted in organizations. In working as a consultant and executive coach to senior executives and boards, I am still amazed at how they continue to be attracted by the stereotypical charismatic ego-driven leaders who see no value in developing self awareness, emotional self-management and building positive relationships. 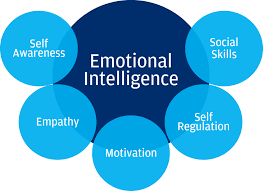 The term emotional intelligence or EQ was popularized in the mid-1990’s by Daniel Goleman, in his book Emotional Intelligence, which was based on the work of researchers John Mayer and Peter Salovey. 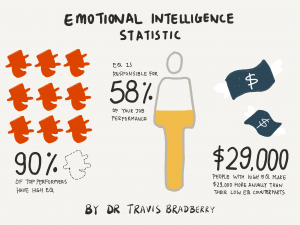 In addition to creating initial legitimacy for EQ in comparison to general IQ, this work and the research that followed, opened the door to seeing emotions as a legitimate aspect of performance in the workplace. Up to that point, the discussion of emotions and feelings as a leadership competency had almost been taboo. Howard Gardener and others subsequently identified multiple intelligences and unlike general IQ, which may be fixed for life, EQ was seen as something that could be developed. Subsequently, neuroscience identified aspects of our brains’ workings that have signficant implications to how we lead and how employees behave and perform. David Rock very nicely described this in his books Your Brain At Work and Quiet Leadership. While researchers identify and describe varying characteristics of EQ, the main ones are self-awareness, self-management, social intelligence and relationship management. An understanding of what exactly constitutes emotional intelligence is important not only because the capacity is so central to leadership but because people strong in some of its elements can be utterly lacking in others, sometimes to disastrous effect. You can see Salovey, now Yale’s provost, making this point vividly in a talk he gave at a 2010 leadership conference in which he describes how a single picture illustrates the remarkable disparity in the emotional intelligence of President Clinton, who was so remarkable in his empathy and yet so devoid of self-control. 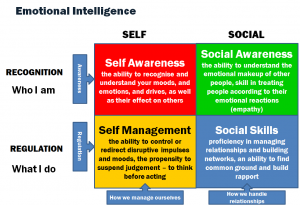 In subsequent work, Goleman focuses more deeply on these various elements of emotional intelligence. In 2001, with Case Western Reserve professor Richard Boyatzis and University of Pennsylvania’s Annie McKee, he explored the contagious nature of emotions at work, and the link between leaders’ emotional states and their companies’ financial success in “Primal Leadership.” In 2008, in “Social Intelligence and the Biology of Leadership,” Goleman and Boyatzis take a closer look at the mechanisms of social intelligence (the wellsprings of empathy and social skills). And most recently, in “The Focused Leader,” Goleman applies advances in neuroscience research to explain how leaders can increase each element of emotional intelligence by understanding and improving the various ways they focus their attention, both expansively and narrowly. In an article in the Harvard Business Review entitled “Cultural Intelligence,” Elaine Mosakowiski of the University of Colorado, Boulder, and LBS professor Christopher Earley take an in-depth look at one important social skill, the ability to adjust to different contexts, offering a diagnostic to help you gauge your abilities and a six-step process for improving them. In “Contextual Intelligence,” Harvard Business School professor Tarun Khanna examines how leaders develop what Goleman calls “cognitive empathy,” the aspect of social intelligence that “enables leaders to pick up implied norms and learn the unique mental models of a new culture.” In the Harvard Business Review article entitled “Emotional Agility,” consultants Susan David and Christina Congleton, focus on one aspect of self-regulation, detailing a process for recognizing and rechanneling your negative emotions, an idea echoed in Kellogg school professor Leigh Thompson and U. Chicago behavioral science professor Tanya Menon’s approach to coping with envy at work. And in the Harvard Business Review article entitled “Building the Emotional Intelligence of Groups,” Steven Wolff and Vanessa Urch Druskat examine how emotional intelligence is manifested in and strengthens teams. Barbara Mandell and Shilpa Pherwani, writing in the Journal of Business and Psychology published a study whichexamined the predictive relationship between emotional intelligence and transformational leadership style. They found a significant predictive relationship (p < .05) was found between transformational leadership style and emotional intelligence. EI is a key factor in an individual’s ability to be socially effective (George, 2000; Mayer et al., 2000b) and is viewed in leadership literature as a key determinant of effective leadership (Ashkanasy and Tse, 2000; Boal and Hooijberg, 2000; George, 2000). George (2000) argues that emotionally intelligent leaders can promote effectiveness at all levels in organisations. The EI of the leader plays an important role in the quality and effectiveness of social interactions with other individuals (House and Aditya, 1996). Mayer et al. (2000a) hypothesized that employees who have high levels of EI may have smoother interactions with members of their work teams. Mayer et al. (2000b) proposed that a high level of EI might enable a leader to be better able to monitor how work group members are feeling, and take the appropriate action. Salovey et al. (1999), found that individuals who rated highly in the ability to perceive accurately, understand, and appraise others’ emotions were better able to respond flexibly to changes in their social environments and build supportive networks. Transformational leadership is more positively correlated to higher emotional intelligence than transactional leadership (Gardner and Stough, 2002). Transformational leadership style has also been shown to be positively associated with organizational success (Eisenbach et al., 1999), consolidated business-unit performance (Howell and Avolio, 1993; Geyer and Steyrer, 1998), team performance (Bass, 1990a), trust in the leader (Podsakoff et al., 1990), subordinates’ extra effort and satisfaction (Seltzer and Bass, 1990; Yammarino and Bass, 1990), and special attention to the needs of subordinates (Barling et al., 2000). Thus, transformational leadership style is considered a significant quality of an organization’s leaders, producing a variety of positive outcomes. As a result of employees’ interaction with their supervisors, the leadership style of supervisors can have a significant impact on the success of the organization. 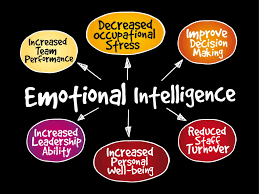 Studies have shown that emotional intelligence relates to various job-related outcomes, including job performance (Bachman et al., 2000; Goleman, 1996; Tischler et al., 2002), leadership success (Cooper and Sawaf, 1997; Gates, 1995; Goleman, 1998b; Higgs, 2003; Sivanathan and Fekken, 2002), citizenship behaviours (Day and Carroll, 2004), and quality problem solving (Rahim and Minors, 2003). Ciarrochi et al. (2002) suggested that emotional intelligence moderates the relationship between stress and mental health. In addition, research found that emotional intelligence is positively related to problem solving strategies and negatively related to bargaining strategies in conflict management (Rahim et al., 2002). Collectively, emotional intelligence has been shown to exert a positive influence on employees’ work attitudes, behaviors and performance. Research shows that IQ alone only explains 4-10 percent of achievement at work (Sternberg, 1996). Emotional intelligence is twice as important as technical skills and intellectual intelligence for jobs at all levels; intellectual intelligence only contributes about 20 percent of the factors that determine life success other forces (Goleman, 1996). Martinez (1997) even claimed that emotional intelligence likely accounts for the remaining 80 percent. 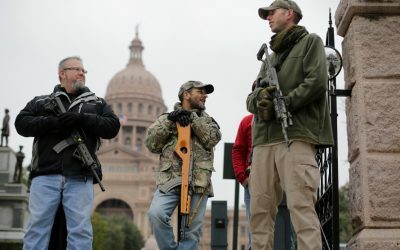 Goleman (1998a, p. 92) further asserted that ‘IQ and technical skills do matter, but mainly as threshold capabilities [. . .] recent research clearly shows that emotional intelligence is the sine qua non of leadership. Without it, a person can have the best training in the world, an incisive, analytical mind, and an endless supply of smart ideas, but still will not make a good leader’. Goleman (1996) and Bar-On (1997) identified self-awareness as the most important dimension of emotional intelligence. Self-awareness – “knowing one’s emotions, recognizing a feeling as it happens – is the keystone of emotional intelligence” (Goleman (1996, p. 43). If someone knows their internal states of emotion, it allows self-control and leads to empathy in others. Further, according to Goleman (1996), self-control or self-managing of our emotions can keep us away from anger, anxiety and gloom and, in turn, allow us to become active in our work and life. Rosete and Ciarrochi (2005) investigated why intelligent and experienced leaders are not always successful in dealing with environmental demands and with life in general, by examining the relationship between emotional intelligence, personality, cognitive intelligence and leadership. Their results revealed that higher emotional intelligence was associated with higher leadership effectiveness, and that emotional intelligence explained the variance not explained by either personality or IQ. There is evidence that managers’ emotional intelligence positively accounts for differences in employee outcomes. Studies show that emotional intelligence is positively related to employee’s performance (Higgs, 2004). Managerial emotional intelligence influences team satisfaction (Langhorn, 2004). 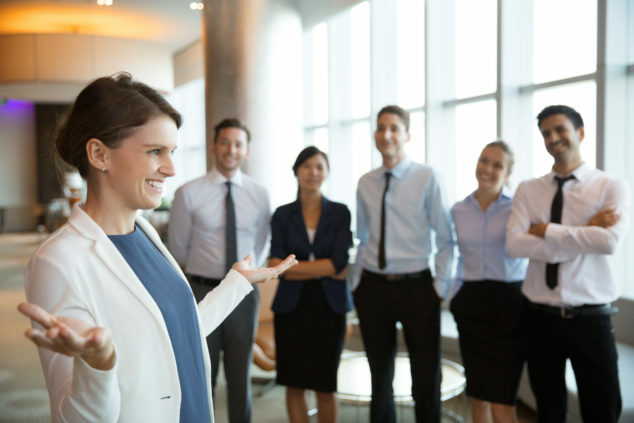 Leaders in positive affective states may energize the people they manage, causing them to approach tasks actively and enthusiastically, as they have high levels of confidence in their ability to succeed (George, 1995). Kupers and Weibler (2006, p. 380) in reporting Gardner and Stough’s (2002, p. 77) study, emphasized that “recognizing and expressing feelings enables leaders to take advantage of and use their positive emotions and emotional information to facilitate organizational performance, including prioritising demands and solving problems”. Scholars have found that managers’ self-awareness, the most important dimension of emotional intelligence, has the ability to alter team members’ responses to their actions (Eisenberg and Fabes, 1992). Thus, managers’ self-awareness possesses the ability to guide subordinates’ interactions to meet desired goals (Miller and Leary, 1992). “Supervisors with high emotional intelligence are more likely to use supportive behavior and treat their followers with psychological benefits, as they are more sensitive to feelings and emotions of themselves and their followers. This, high emotional intelligence and emotional maturity should have a positive effect on the job outcomes of supervisors” followers (Wong and Law, 2002, p. 250). Wong and Law also found that the emotional intelligence of managers has a causal effect on the job satisfaction and organizational citizenship behavior of their subordinates. Research has demonstrated that subordinates whose supervisors have higher emotional intelligence are more committed to the organization (Giles, 2001). Goleman (1996) claimed that knowing one’s internal states of emotion allows for self-control and leads to empathy to others. He also suggested that people who have a high level of emotional intelligence are very honest with themselves and others and try to avoid unrealistic hope. Abraham (1999) and George (2000) suggested that self-awareness allows individuals to set priorities and set aside inconsequential issues, so more important and urgent issues can be addressed. Based on all this evidence, it is logical to argue that managers with high self-awareness will set demands that are more reasonable and establish realistic priorities and expectations for subordinates, avoiding inappropriate criticism. Consequently, this can enhance employees’ job satisfaction and organisational commitment and reduce subordinates’ job stress level. 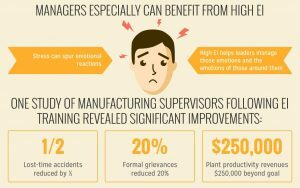 This may explain how managers’ emotional intelligence could account for positive effects on employee outcomes (employee performance, job satisfaction, organizational commitment and job stress). The beneficial effect of transformational leadership on employees has been recognized. Studies have found that employees are willing to exert more effort and to increase standards for transformational leaders (Seltzer and Bass, 1990; Yammarino and Bass, 1990). It has been suggested that transformational leadership has a positive influence on employees’ effort and satisfaction (Bass and Avolio, 1990; Bycio et al., 1995; Kirkpatrick and Locke, 1996; Parry, 2000) as well as on subordinate performance (Avolio et al., 1988; Barling et al., 1996; Yukl, 1998). A number of authors (Barling et al., 2000; Brown and Moshavi, 2005; Cooper and Sawaf, 1997; Goleman, 1998b) have theorized that emotional intelligence is antecedent to transformational leadership. There are three reasons why individuals high in emotional intelligence would be more likely to use transformational behaviors (Barling et al., 2000). 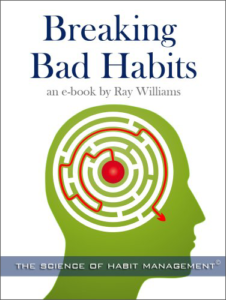 First, they link self-awareness and self-management to idealized influence as “leaders who know and can manage their own emotions, and who display self-control and delay of gratification, could serve as role models for their followers, thereby enhancing followers’ trust in and respect for their leaders. This would be consistent with the essence of idealized influence” (Barling et al., 2000, p. 157). Second, they link social awareness to inspirational motivation as “with its emphasis on understanding others’ emotions, leaders high in emotional intelligence would be ideally placed to realize the extent to which followers’ expectations could be raised, a hallmark of inspirational motivation” (Barling et al., 2000, p. 157). Third, they link relationship management to individualized consideration as “a major component of individualized consideration is the ability to understand followers’ needs and interact accordingly. With its emphasis on empathy and the ability to manage relationships positively, leaders manifesting emotional intelligence would be likely to manifest individual consideration” (Barling et al., 2000, p. 157). Three EI level groups served as the covariate in all the Barling et al. (2000) analyses, where the four components of transformational leadership – idealized influence, inspirational motivation, intellectual stimulation and individualized consideration – served as the dependent variables. An emotionally intelligent leader can control better through self-management, understand more his/her employees due to his/her empathy and boost others’ mood using his/her sharp social skills (Momeni, 2009). Moreover, Momeni (2009)’s study results show that the higher the EI of the manager the better is the manager’s organizational climate, which is confirmed by Awwad and Kada-Ali (2012). They theorize that a high level of EI creates a climate where trust, information sharing, healthy risk-taking and learning grow, whereas low level of EI creates a climate full of fear and anxiety (Goleman et al., 2001). Managers sometimes underestimate how strongly the organizational climate can affect the financial results of the company which is nearly a third of its financial performance (Goleman, 2000). When employees are happy and satisfied in their job, appreciated, supported and valued, their productivity and performance increase, and they become more committed towards the organization (Ngo et al., 2009). A new study published in the Journal of Applied Psychology asserts that emotional intelligence (EQ) really can be a highly effective criterion for hiring and measuring employment qualifications. Most importantly, it introduces a brand-new EQ test for employers to use while hiring. But despite the importance of EQ, there’s never been a widely accepted test to measure emotional intelligence—until now. The research team decided to collaborate to create the Geneva Emotional Competence Test (GECO), which is a test that consists of four areas of evaluating a person’s emotional intelligence: recognizing emotions, understanding emotions, the ability to emotionally regulate, and managing other people’s emotions. The test is conducted using video clips featuring actors in work-related situations and accompanying questions. To develop a well-rounded and in-depth test, the researchers interviewed over 40 managers of Swiss-based firms so that they could create the questions within GECO. The managers were interrogated on times they were faced with anger, sadness, fear, or inappropriate happiness in the workplace and what they did in these diverse situations. Afterward, the scientists consulted with emotion experts, other managers, and representatives of the general public to round out GECO. Before concluding their research and being satisfied with the test, the researchers tested it on just under 900 participants between the ages of 20 and 60. Through this process, they discovered a few interesting facts about workplace EQ: People with a better ability to regulate their emotions tended to earn a slightly higher salary, which is certainly worth noting. Women in general did better on the test than men did, particularly when it came to interpreting nonverbal expressions of emotion. And regardless of gender, “emotional intelligence increases with age and experience, meaning it’s a faculty that can be improved and developed,” said Marcello Mortillaro, Ph.D., one of the lead researchers of the study and a researcher at the University of Geneva’s Swiss Center for Affective Sciences. “The more emotional intelligence skills you have and the better those skills are, the better your work outcomes are, above and beyond your cognitive intelligence or personality,” Dr. Mortillaro said. 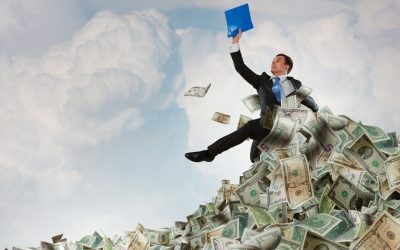 “We also noted that managers who perform well on GECO have better results in standardized leadership tasks, and students with higher GECO scores get better grades,” added Katja Schlegel, Ph.D., another lead researcher on the study and a researcher at the University of Berne’s Institute of Psychology. 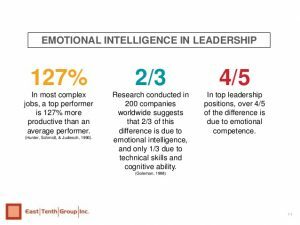 It’s clear from the research evidence that emotional intelligence is a key leadership attribute and has a significant impact on an organization’s bottom line, employee relationships and productivity and longevity for leaders. Organizations are slowly recognizing EQ as a necessary attribute and performance measure for current leaders, and the recruitment of potential leaders. 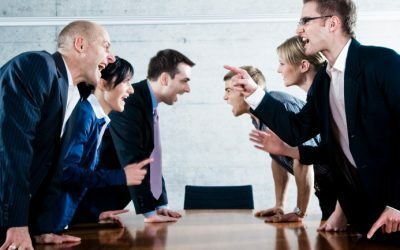 Full acceptance of the evidence and changes in HR practices may help address the issues related to toxic work cultures and toxic leaders, which are today significant problems.